About 22 kilos of apples are eaten every year in German households alone, making them the absolute fruit favorite. Apples are rich in vitamin C, which is great for your metabolism. There is certainly a reason why vitamin C is also referred to as the, “anti-cold vitamin.” On top of that, apples are rich in both iron and calcium. This helps keep the body’s cells from drying out as well as being an important ingredient for both your nerves and your muscles metabolism. Tip: Always eat the apple peel too, as it contains a lot of essential nutrients. A classic, healthy nutrition recommendation suggests, five servings of fruits and vegetables a day. Such a portion can well be an apple, which even fits perfectly into any bag. Grape peels contain fiber, while their pulp features some ingredients that are great for purifying, as well as draining. Red grapes in particular, contain plant pigments known as flavonoids. Flavonoids, are attributed with a whole range of positive effects, such as anti-aging properties or protection from cardiovascular diseases. When buying grapes, make sure the fruits are firm and firmly attached. Grapes should not get washed right after purchase as that would cause them to start rotting within a day. It’s better to wash them just before consumption. Actually, the term “plum”, refers to many different kinds of fruits with various levels of juice content and different ageing times. Among them are Mirabelle plums, greengages – and actual plums. Plums have an oval or round shape and a ventral seam. Their kernels can always be easily removed and are perfectly suited for boiling or baking. Both plums and prunes contain large amounts of Provitamin A, which is a preliminary stage of vitamin A. Vitamin A, is essential for the health of your eyes and for fresh, healthy-looking skin. In addition, they also feature vitamin B, which is needed for carbs and protein metabolisms and gaining energy. 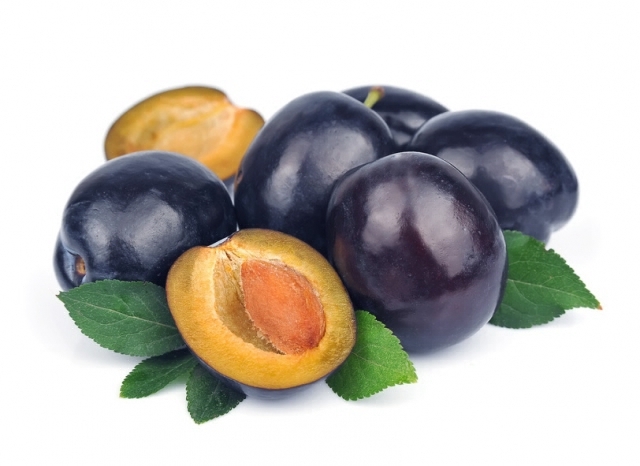 Plums and prunes can also help improve intestinal activity which is crucial for purifying and draining. Where those facts interesting for you? Just share them with your friends and leave us a comment if you have questions.